"* Adirondack Fishing Resource Travel Guide to New York's Adirondack High Peaks,Olympic attractions, vacation, tourism, resort, hotel, motel, accommodations, lodging, Real Estate, Lake, Travel Guide, lodging, hiking, restaurants, real estate in Lake Placid, Saranac Lake, Tupper Lake, Lake George etc..! " Adirondack Fly Fishing Guides.com is the premier online guide to fishing in the Adirondacks and Upstate New York including the Hudson Valley and Catskills showcasing a multitude of summer and winter sports including Fishing , Camping ,Canoeing , Whitewater Rafting , Hiking ,& Hunting throughout the Adirondacks and upstate New York. 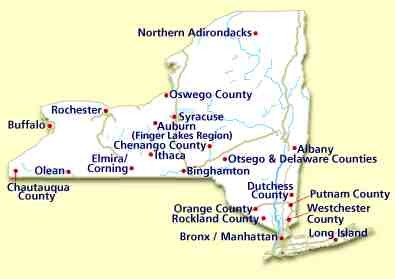 We also offer a comprehensive listing of New York State Licensed Guides who specialize in adventure travel and sports including fishing, hunting, camping and backcountry treks. Located in the Adirondack's majestic High Peaks, the Ausable river is a fly fisherman's paradise offering abundant hatches of Stoneflies, Caddis, Mayflies and ledgendary trophy trout!. The famed West Branch of the AuSable River is nationally recognized for its five miles of magnificent waterway dedicated as year round catch and release. Each year, when the snow finally melts from the mountaintops, a magical transformation occurs in the Adirondacks with the arrival of summer! Suddenly, Alpine ski trails give way to rugged mountain bike paths. 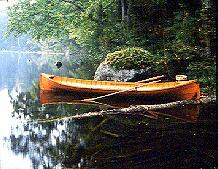 Frozen lakes and rivers dissolve into miles of exciting canoe and kayak waterways. And backcountry ski trails turn into beautiful day hikes! With over 1500 lakes and ponds, 46 major peaks, and hundreds of miles of hiking and bike trails, the Adirondack Park is, quite literally, a 6 million acre playground and anglers paradise! 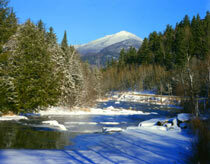 Have you ever thought about publishing your very own book about Fly Fishing in the Adirondacks? Open Year round during daylight Hours or 8 am to 8 pm. Rainbow Trout averaging 1 to 7 lbs. Preserve located on 230 acres with easy access to 2 ponds. Open year round - Rainbow and Golden Trout and Atlantic Salmon. Rainbow Trout averaging up to 4 lbs. Open weekends through out the year and daily through the months of July and August. Brook Trout, Rainbow Trout, Coho and Atlantic Landlocked Salmon averaging from 1 lb to 14 lbs. Open by chance or appointment. Speckled Trout, Rainbow Trout and Coho and Atlantic Salmon. Average sizes are 10 to 14 inches. 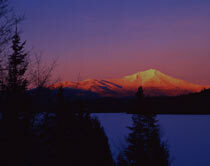 Described by National Geographic as "the jewel of the Adirondacks," Elk Lake is a 12,000-acre wilderness resort in the heart of the High Peaks. 40 miles of private trails, two lakes offering canoeing, swimming and fishing for trout or landlocked salmon. Turn-of-the-century lodge and private cottages. Note: Rates are per person, per night, Modified American Plan with Dinner and Breakfast included. Jones Outfitters, Ltd. is located on Mirror Lake in Lake Placid. We are a full service Orvis Dealer offering a wide variety of fly fishing equipment and services. Our Popular Fly Fishing school will help get you started on the path to a life-long past-time and passion. Guide service is available for local rivers, lakes, and ponds. Check our web site for updates fishing reports. We are also your complete paddlesports shop, stocking canoes, kayaks and accessories from Mad River, Wenonah, Old Town, and Wilderness Systems. Take a Virtual Tour of the Florida Everglades! World class fishing & glorious sunsets! Catch giant tarpon along Florida's beautiful coastline. AdirondackFlyFishingGuides.com gives you everything you need to know to plan your fishing vacation when visiting Upstate New York and the Adirondacks. It's all right here at your fingertips . . . with just a click of your mouse! outdoor photographers Carl Heilman and Frank Houck.